Here is a fascinating collection of traditional Celtic stories to amaze and entertain you. Animal tricksters, boasters, and heroes all dwell herein, set amidst the dazzling universe of Celtic lore. Now you can relate these archetypes of the shamanic tradition to your life today. Meet your totem animal and ask for guidance on life issues, for self-empowerment, or simply for fun--the possibilities are endless. 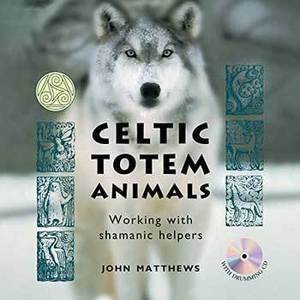 Included in this boxed kit are 20 totem animal cards, a shamanic-drumming CD, and a 192-page book.